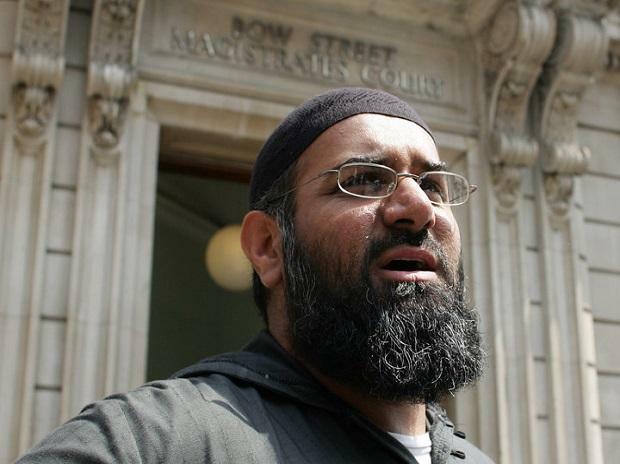 The extremist group associated with British-Pakistani radical preacher Anjem Choudary, convicted in the UK for inviting support for the Islamic State (ISIS) terror group, is regenerating itself, warn counter-extremism experts. The 51-year-old founder of the al-Muhajiroun network was released from the high-security Belmarsh prison in south London in October last year under very strict licence conditions after serving less than half of his five-and-a-half-year sentence. He is associated with grooming the likes of Indian-origin ISIS supporter Siddhartha Dhar, a.k.a. Abu Rumaysah, who was killed in an airstrike in Syria last year. After a latest analysis, the Hope Not Hate counter-extremism group warned in its annual 'State of Hate' report that al-Muhajiroun was "stirring back into life" after two years of relative silence while key members were in prison. "The release of some of their more prominent activists, albeit on strict controls, appears to be galvanising some younger supporters into re-establishing street stalls and other public activities," Nick Lowles, Chief Executive of Hope Not Hate, told 'The Independent' newspaper. "While a mere shadow of its former self, al-Muhajiroun still has the potential to cause havoc," he said, describing the group as "Britain's most proli?c and dangerous extremist group". Al-Muhajiroun was first banned in 2006, making its membership a terror offence, but it has since morphed into numerous new names, including Islam4UK and Muslims Against Crusades, to evade the law. According to the latest Hope Not Hate report, its units are believed to be active in parts of London, Luton and Derby, with smaller numbers of supporters in Birmingham, Leicester and Slough. Its supporters have recently been seen at street preaching stalls in east London, made appearances at Speakers Corner in Hyde Park and started new social media accounts, the report finds. Metropolitan Police Assistant Commissioner, Neil Basu, who is the head of UK counter-terror policing, said the group was on the force's radar and would not be allowed to incite terrorism, or exploit social problems and tensions. "We are working closely with police forces across the UK to help officers identify and disrupt al-Muhajiroun activity, so we can deprive them of any opportunity to recruit new members or function effectively as a group," Basu said. Choudary, who remains under supervision since his release, is linked to supporters who went on to be implicated in several UK terror attacks, including the London Bridge attack in June 2017. Many of his followers are believed to have left the UK to join ISIS and Al Qaeda in Iraq and Syria. The news of the group's resurgence comes as the UK government continues to debate the future of a British teenager who had fled her east London home to become an ISIS "jihadi bride". Shamima Begum, who is heavily pregnant, had pleaded in an interview from a camp in Syria earlier this week to allow her and her unborn child a return to the UK. UK home secretary Sajid Javid has since pledged to ensure that the 19-year-old is "questioned, investigated and potentially prosecuted" if she does manage to return. "My message is clear if you have supported terrorist organisations abroad I will not hesitate to prevent your return," he said. However, human rights lawyers warn that though her parents have their origins in Bangladesh, she is British and would have a right to return to the UK as international law prevents an individual being made stateless. Begum's family has also urged the UK government to bring her back "urgently" because her unborn child is a "total innocent". It has also emerged that the UK Home Office has been running a scheme for such returning suspects and young children from the ISIS-hit war zones. The "Returning Families" unit, run with London's Tavistock and Portman NHS Foundation Trust, was reportedly set up 15 months ago to cope with an influx of jihadi brides like Begum expected to come back to Britain. The service is a pilot programme set up to specifically address the emotional and psychological needs of children returning from the war zones of Iraq and Syria.